Now you can get a $2 off any one bag of Hill’s Science Diet Dogs Treats. The coupon (expired) can be used only once but certainly there is no harm in saving a little in buying your dog food. 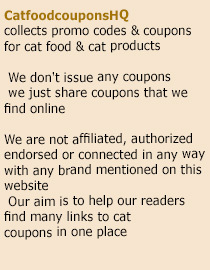 Let’s know more about the other coupon. The second coupon offers a $3 off any one bag of Hills Science Diet dry food for cats or dogs (this coupon has also expired – check out new offers below). Mentioned above are some good deals for pet owners. Let everyone in your pet community know about these deals so that everyone can take advantage from them. Both coupons can only be used once and are limited time offer, so all of you – Hurry up! UPDATE – Petco has a sale on Hill’s Science Diet. You can get up to 25% off selected Hill’s Science Diet products, including Hill’s Science Diet Optimal Care Original Adult Cat Food, Hill’s Science Diet Light Adult Cat Food and Hill’s Science Diet Active Longevity Senior Cat Food. Visit this page to browse all the discounted products.